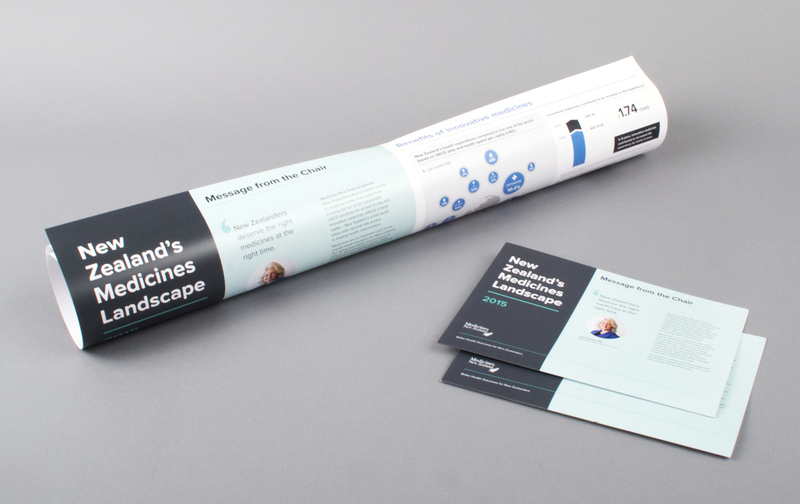 A new approach for an annual report, using data visualisation and a portable format. 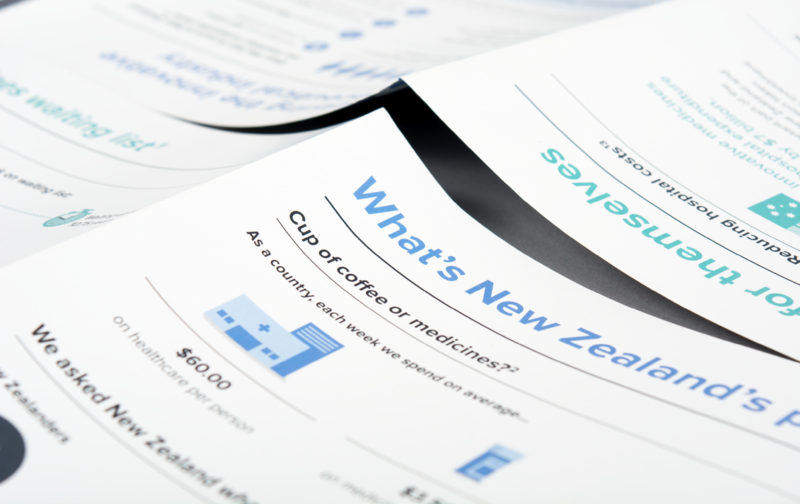 We were asked to create an Annual Review that provides an overview of Medicines New Zealand’s achievements for the year in an engaging, and informative way. We took a new approach for the presentation of the Annual Review and created a visualised summary in accessible poster and handout formats. Key messages and information were presented as a series of engaging infographics. 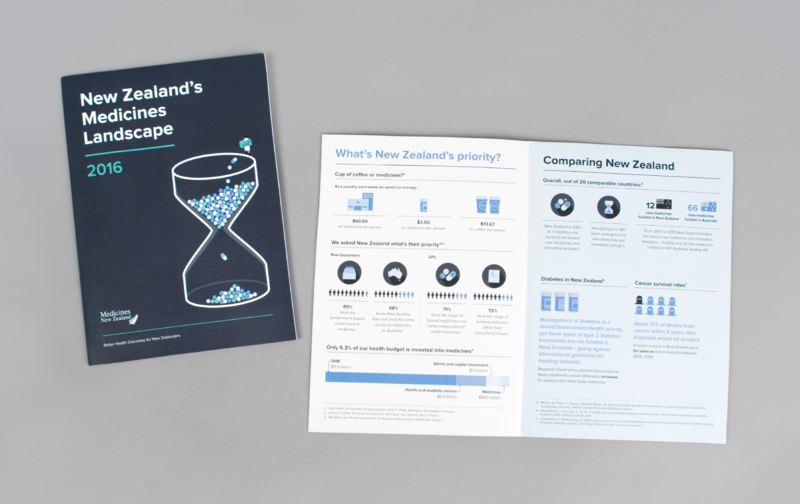 Key stakeholders responded positively to the new formats and data visualisation approach used for the Annual Review, saying the infographic format captured their attention and helped them quickly understand key messages and information. This project was a finalist in the Business Communication category of the Best Design Awards. After the success of 2015’s annual review, we were asked to revisit the project for 2016. 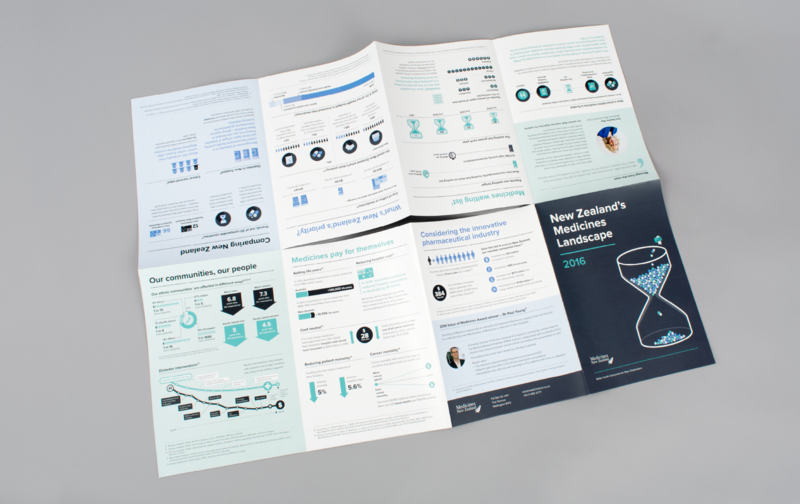 We used an innovative new folding concept that combines the brochure and poster into one, and updated the infographics to capture the new year’s achievements.